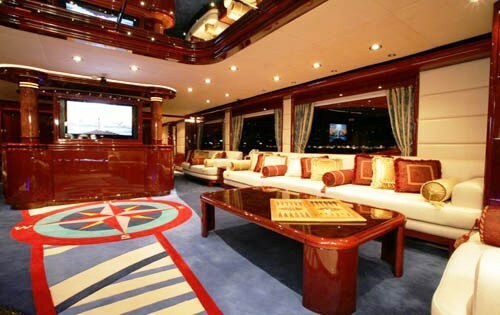 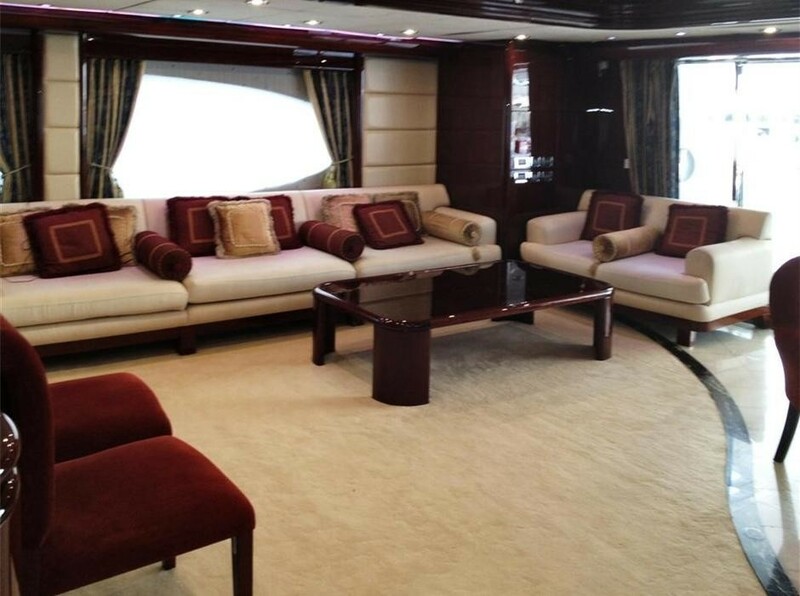 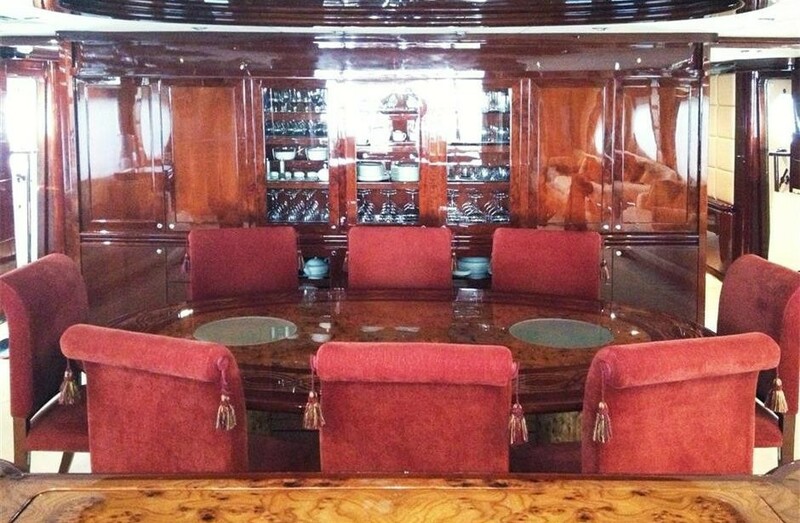 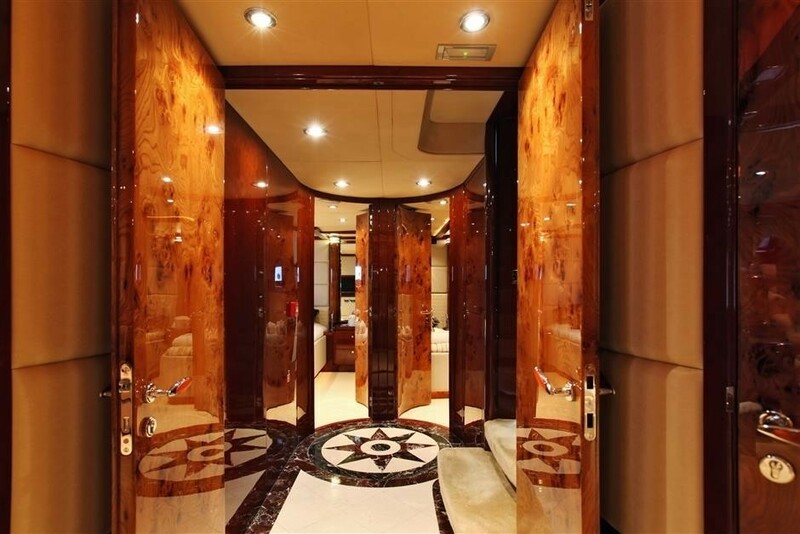 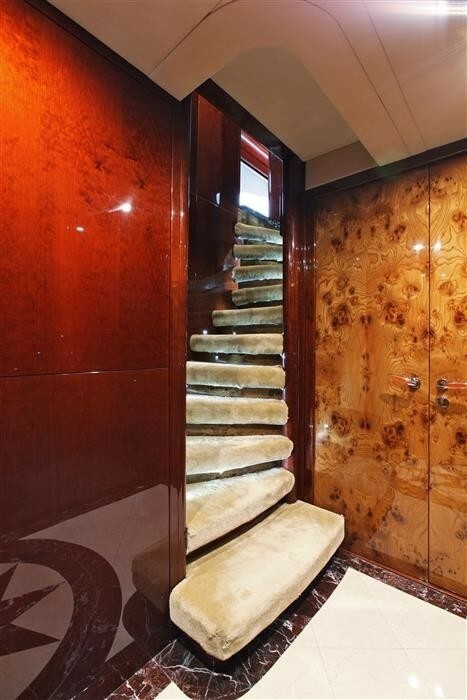 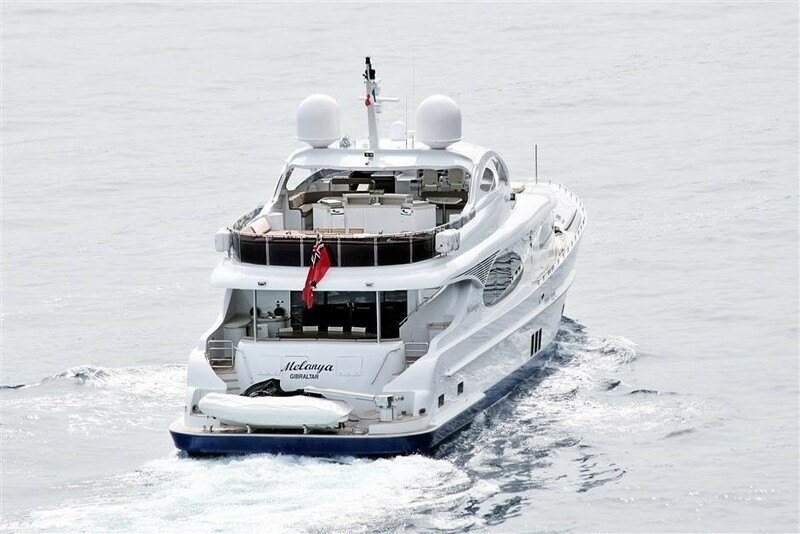 Motor yacht MELANYA is a 35m 2007 GULF CRAFT Majesty, the Middle East’s largest boat and yacht manufacturer. 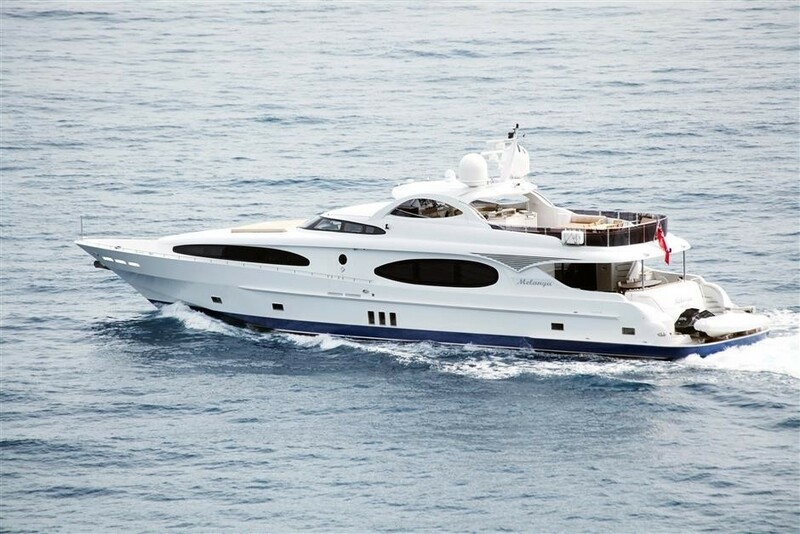 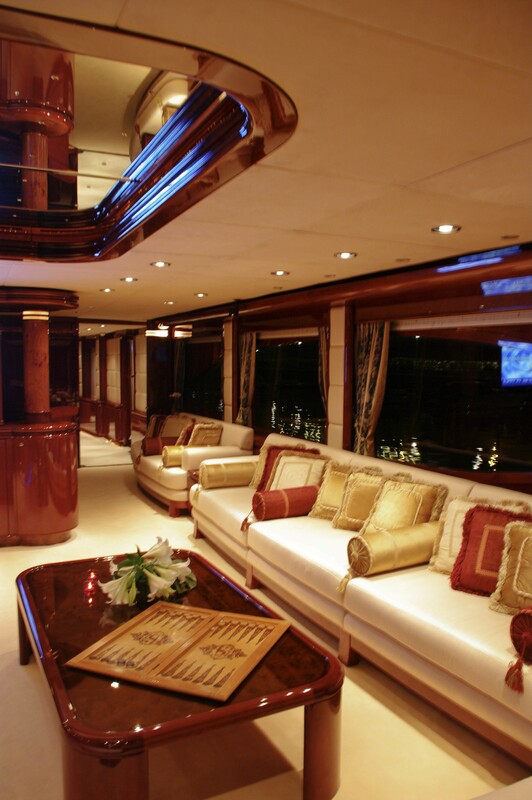 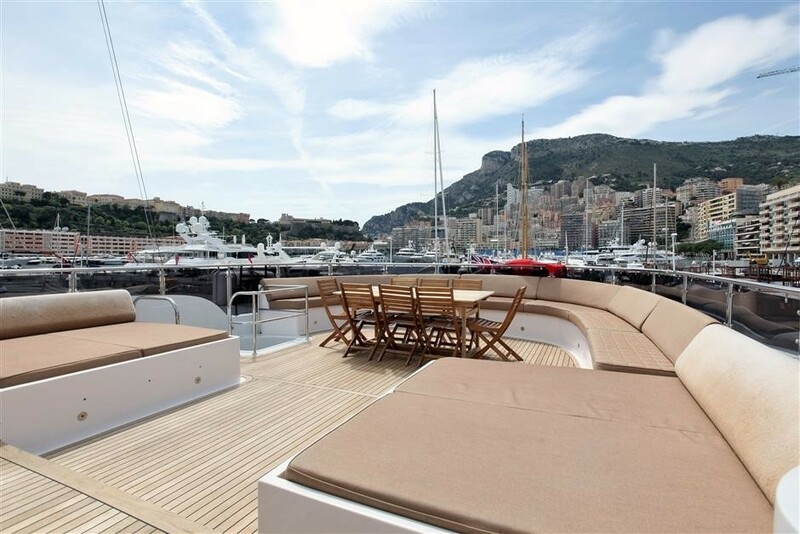 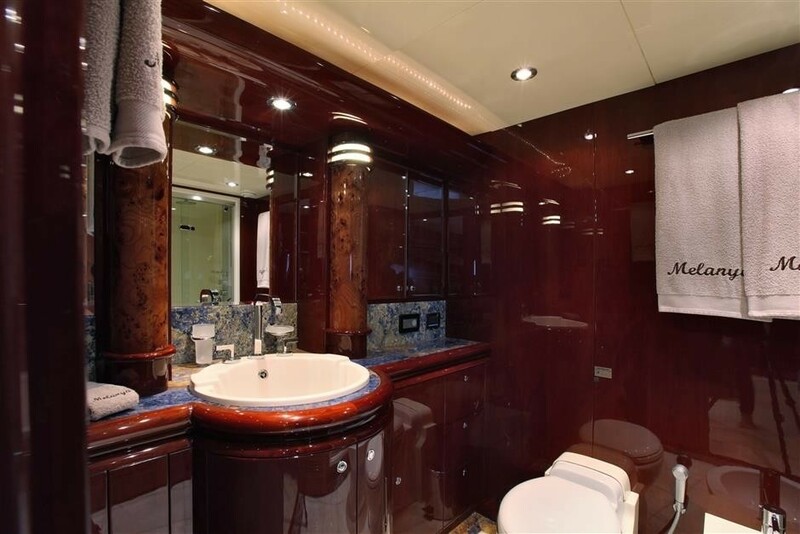 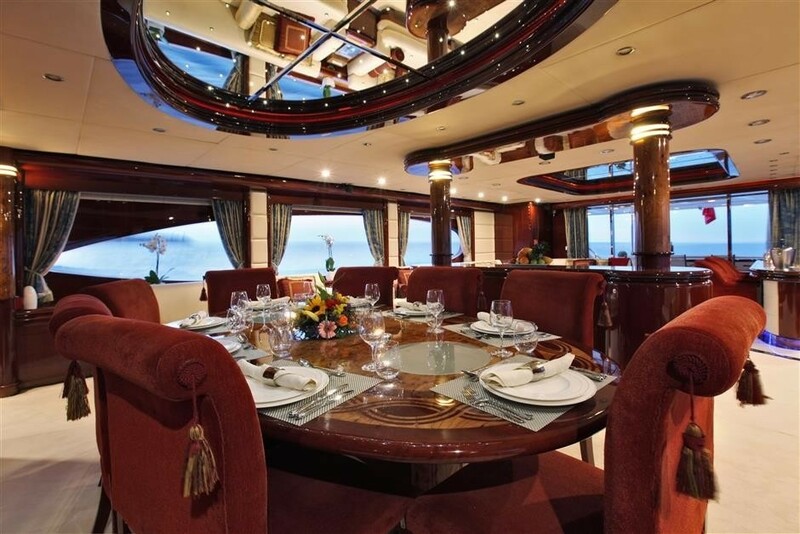 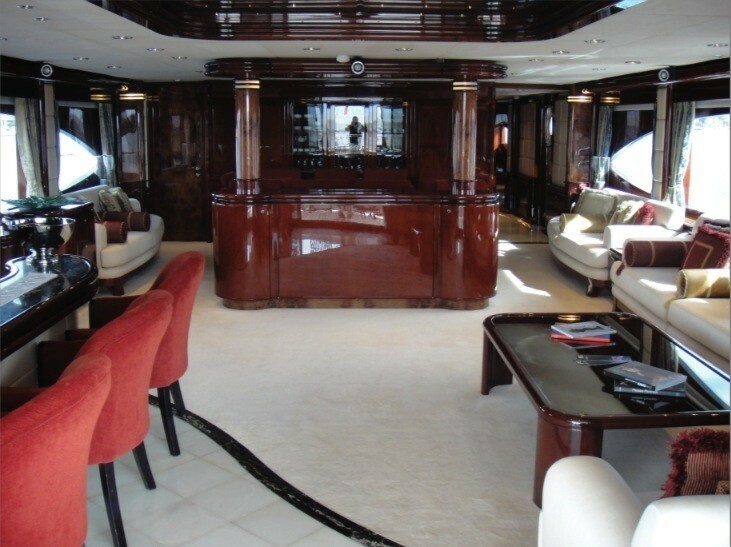 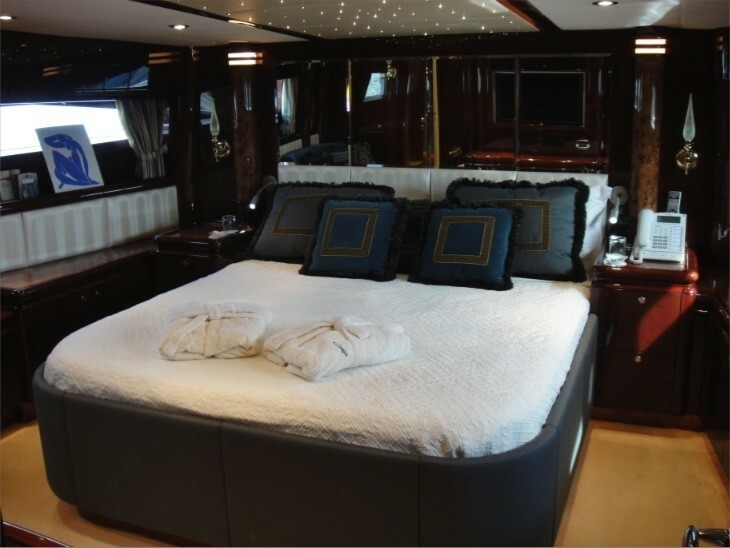 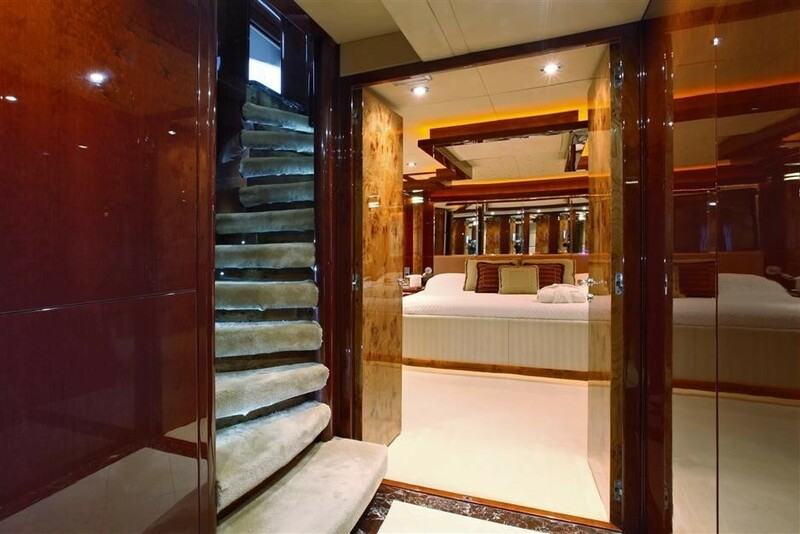 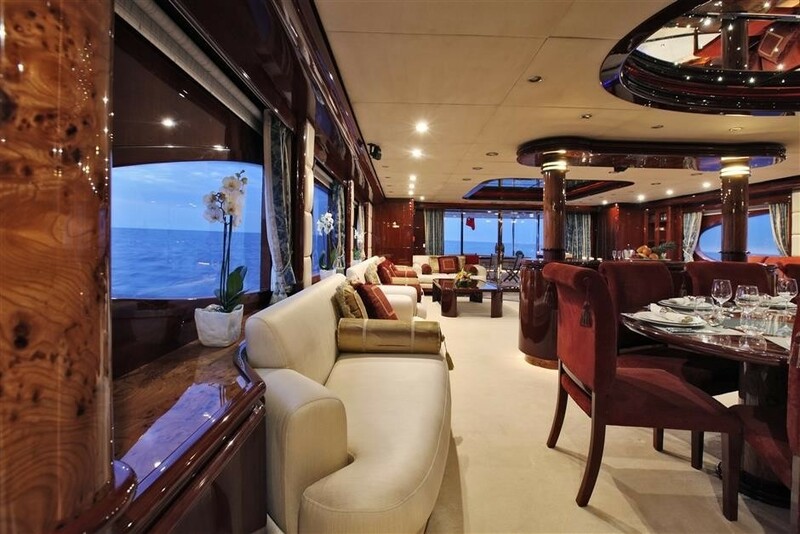 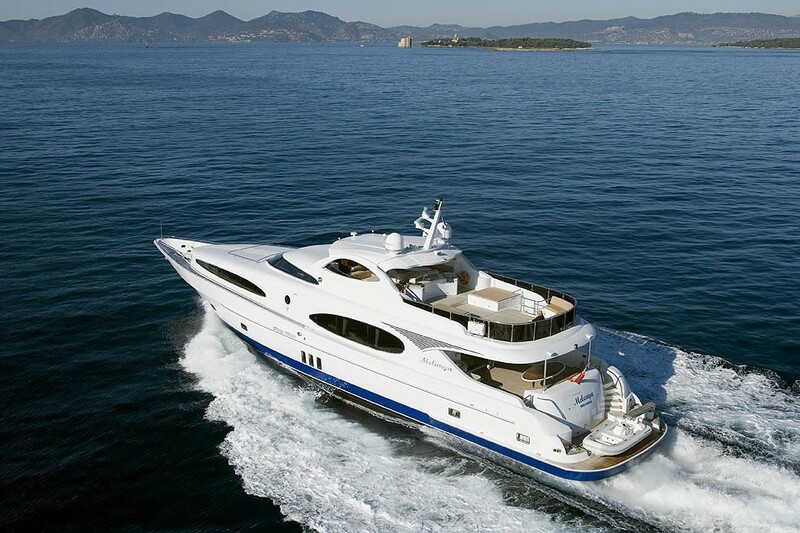 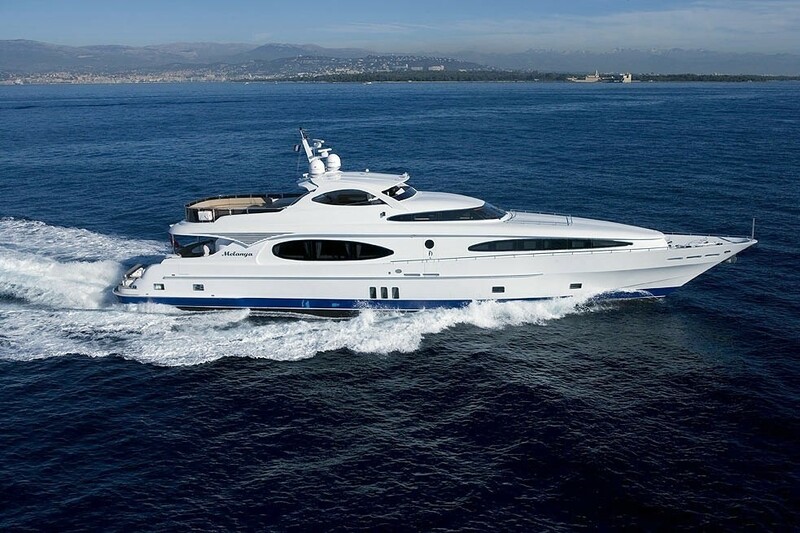 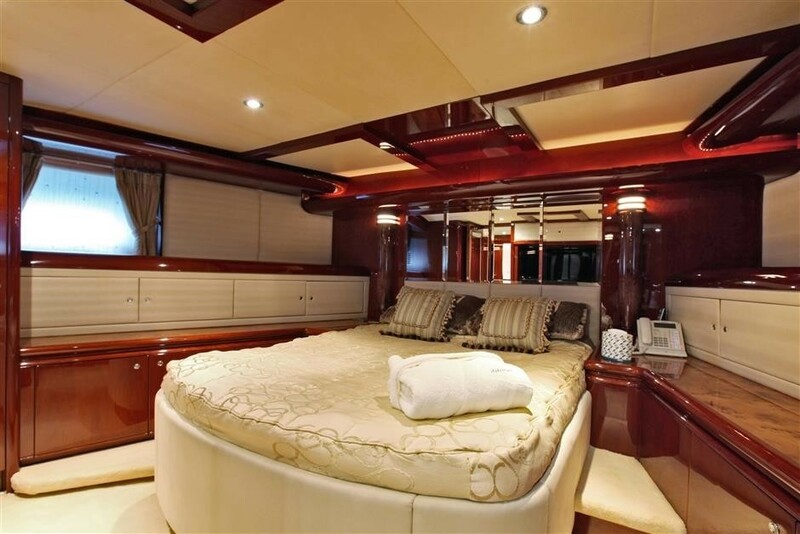 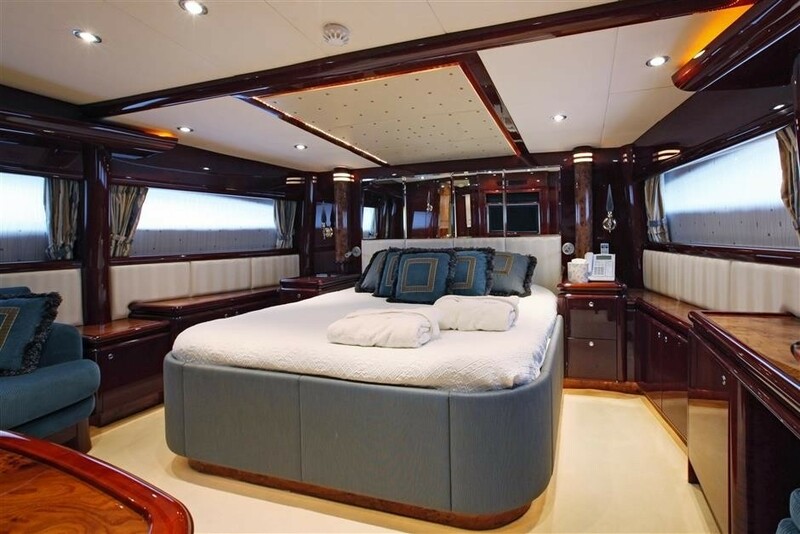 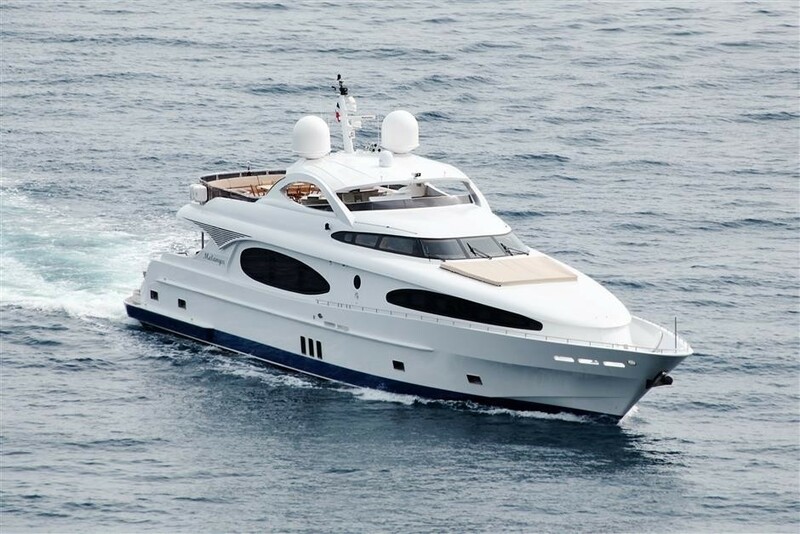 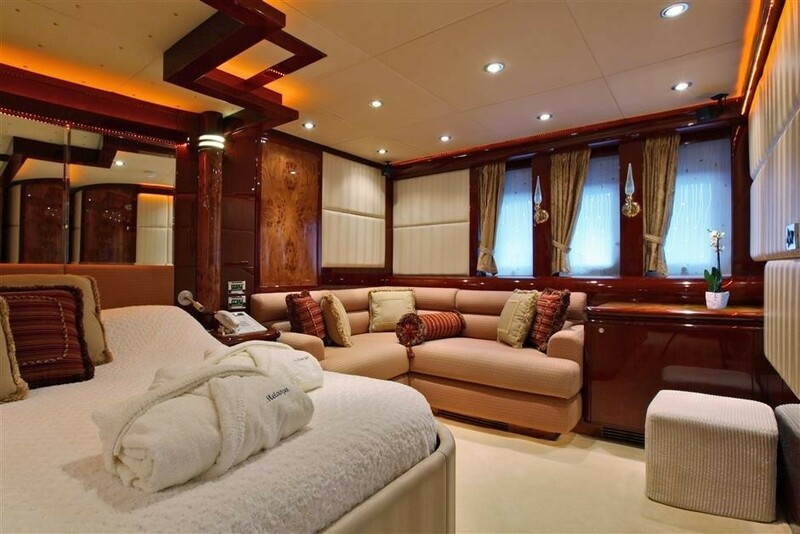 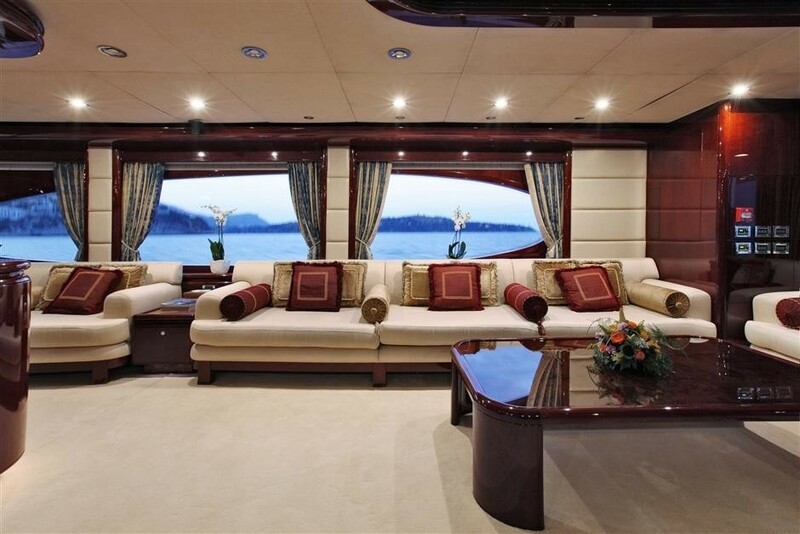 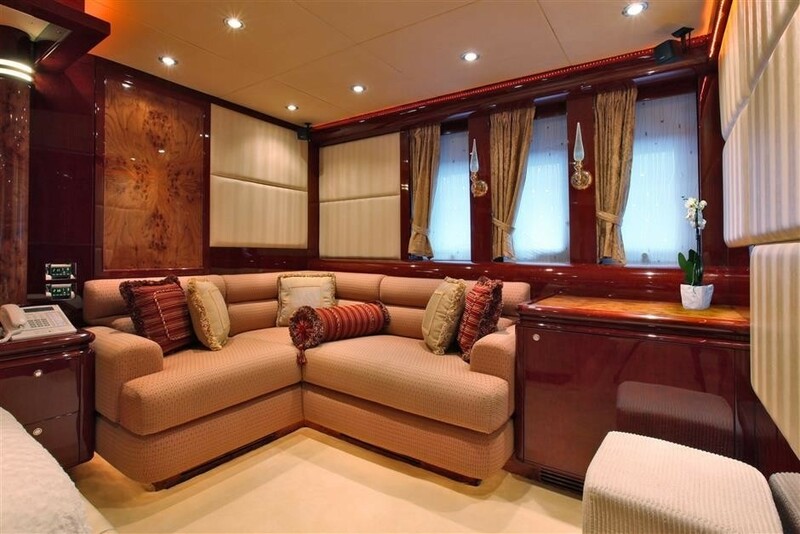 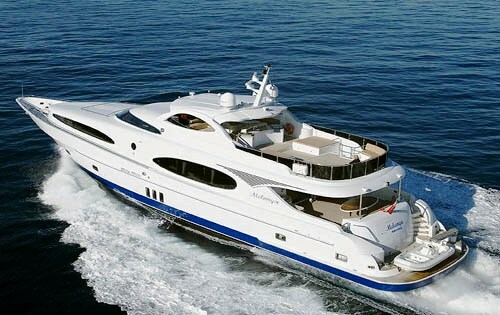 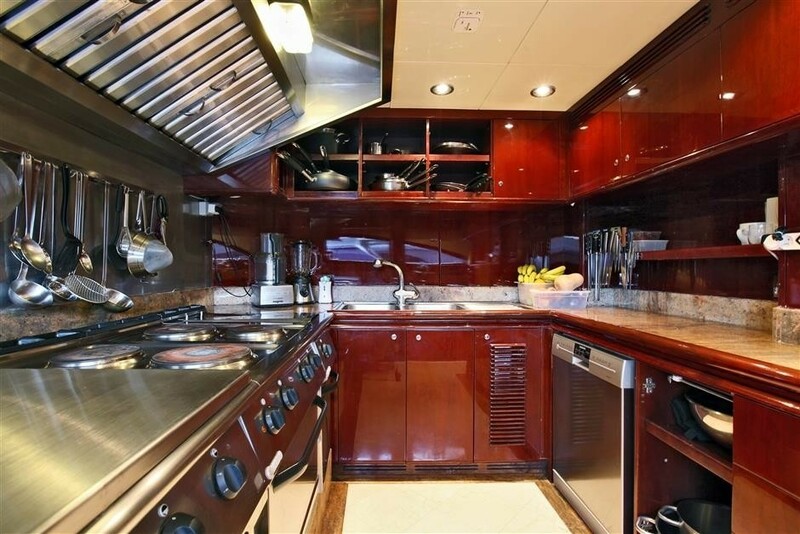 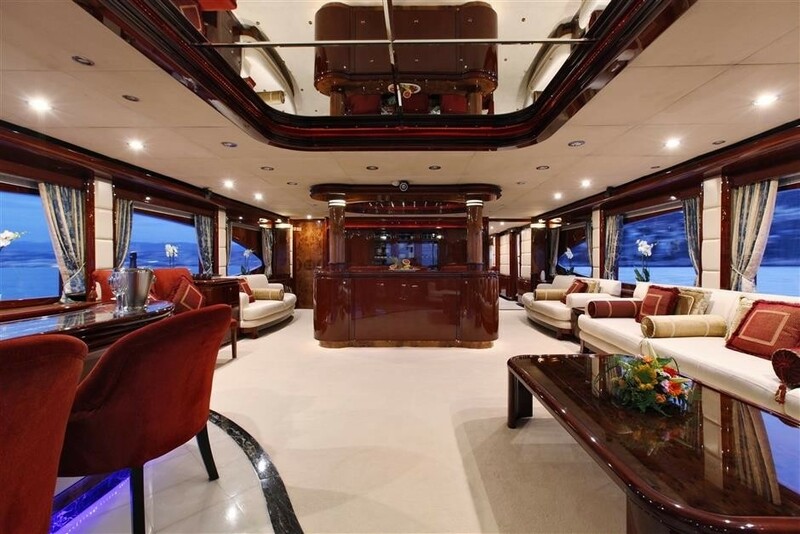 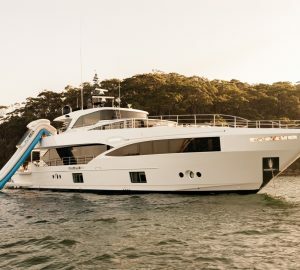 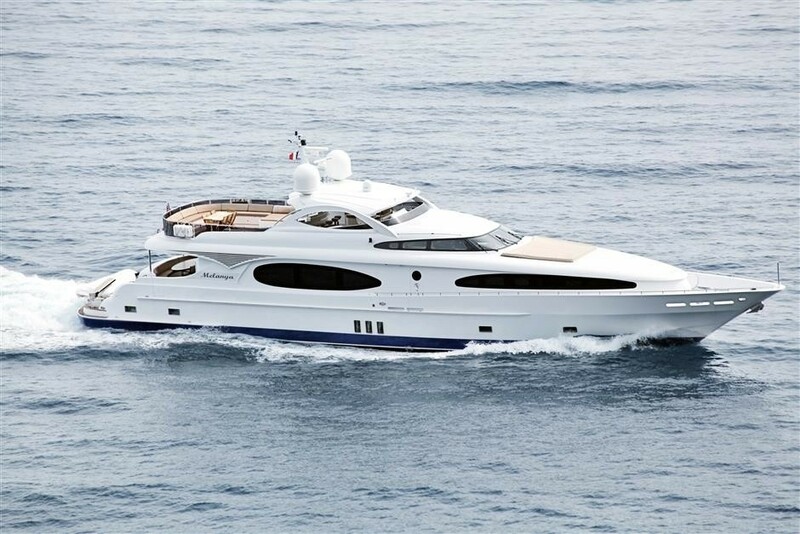 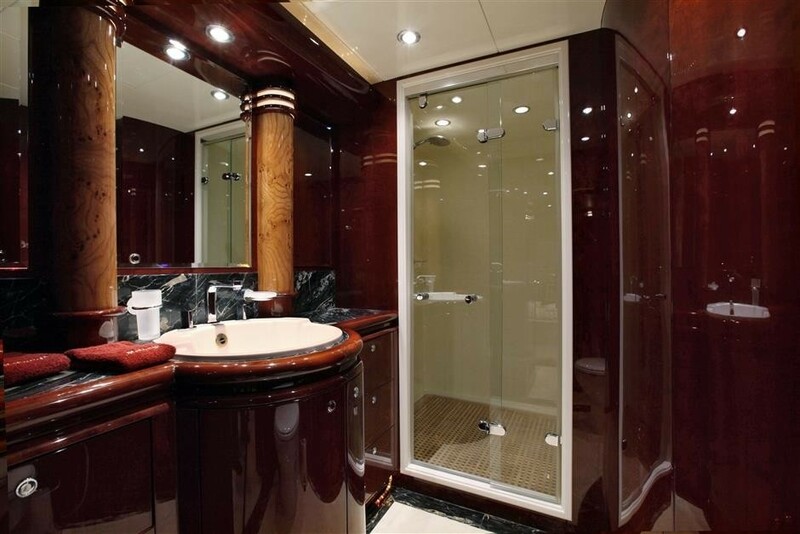 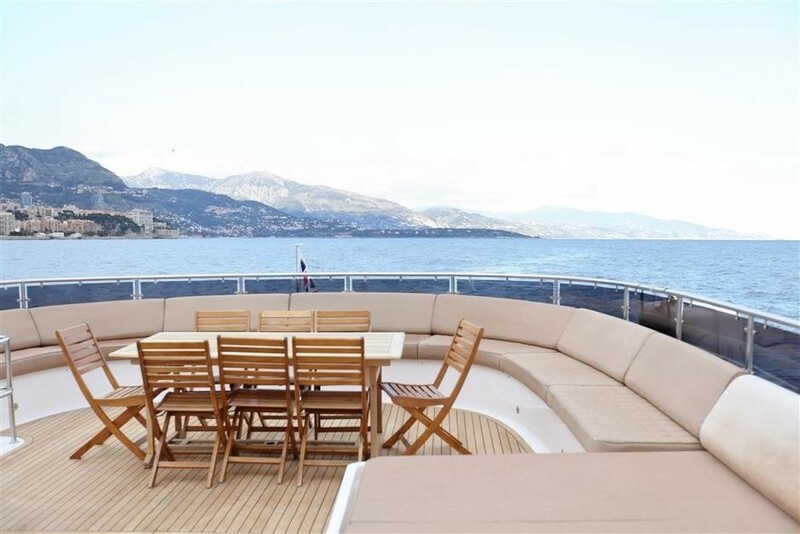 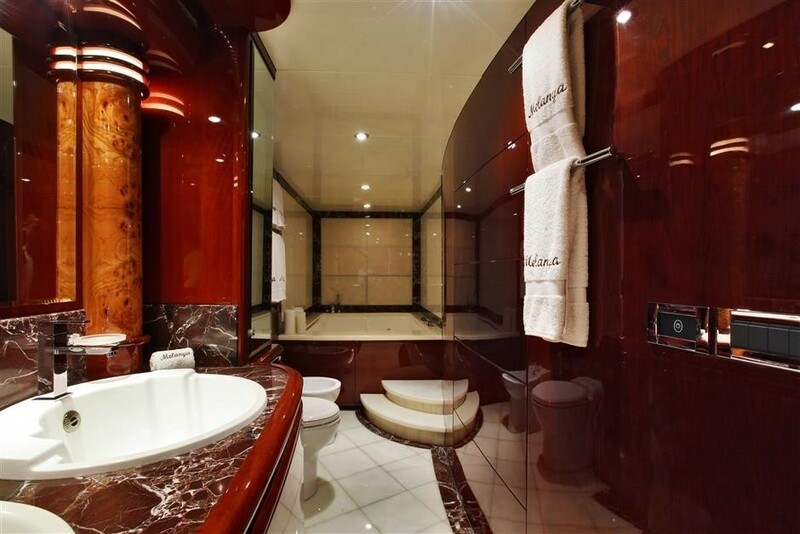 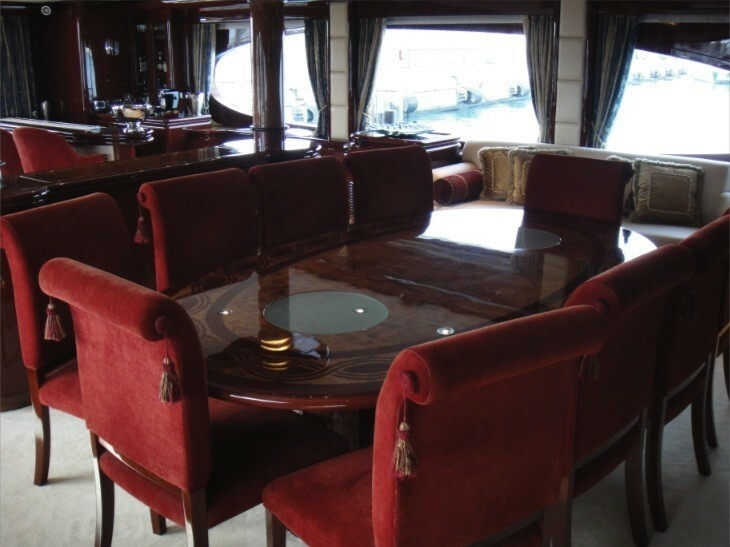 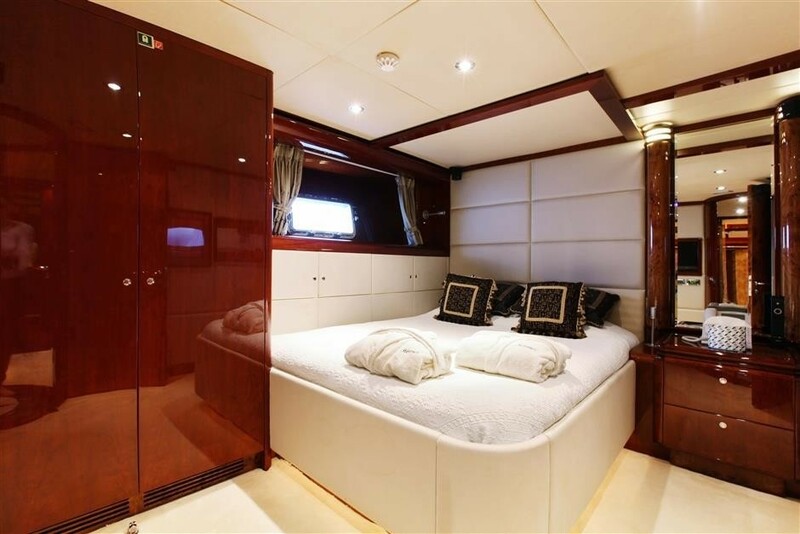 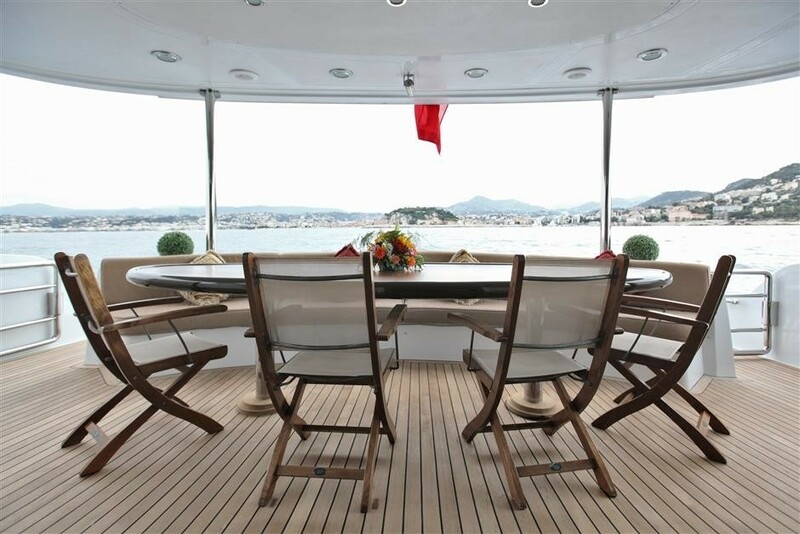 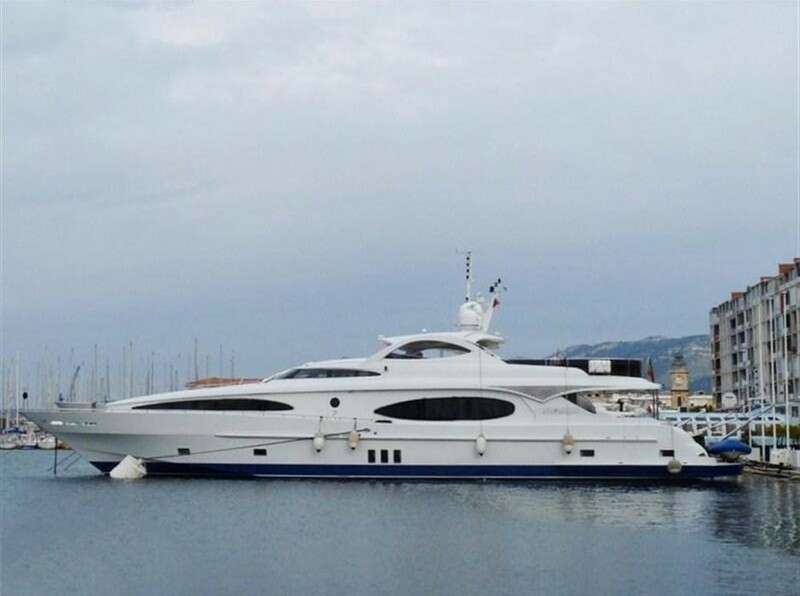 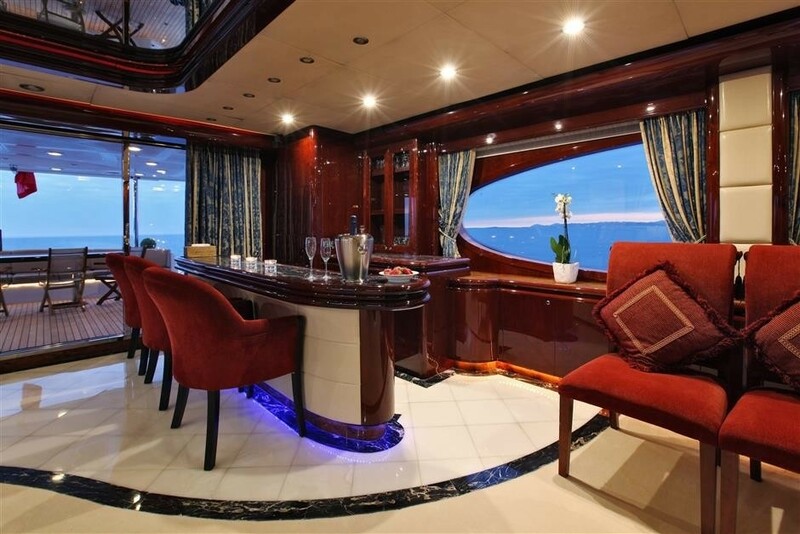 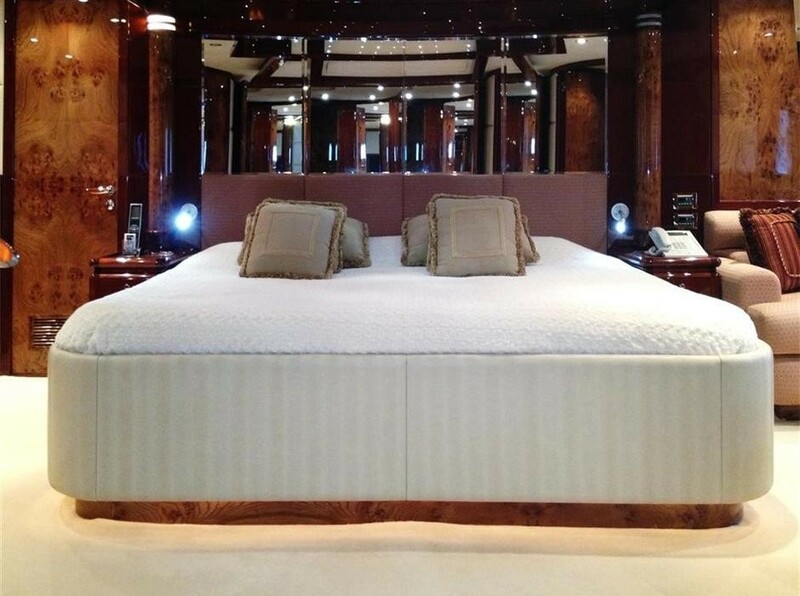 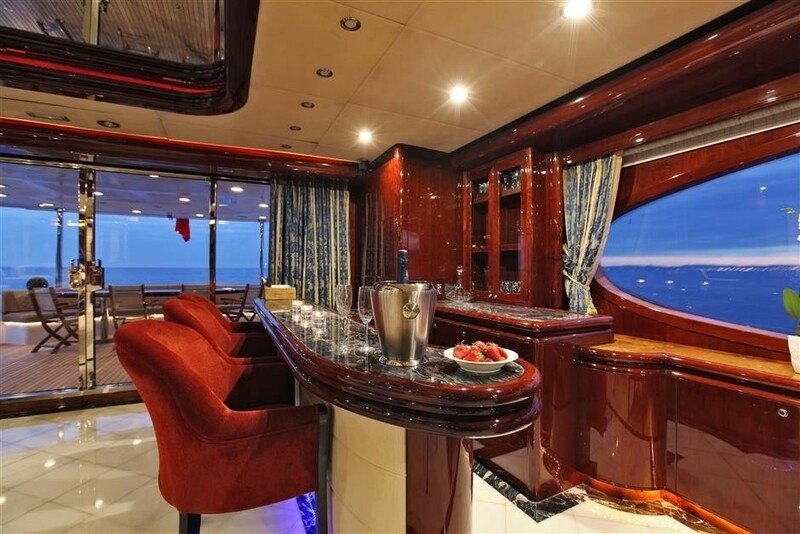 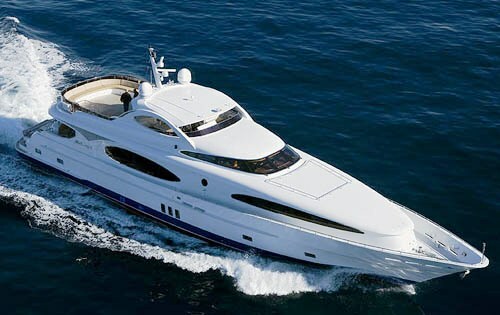 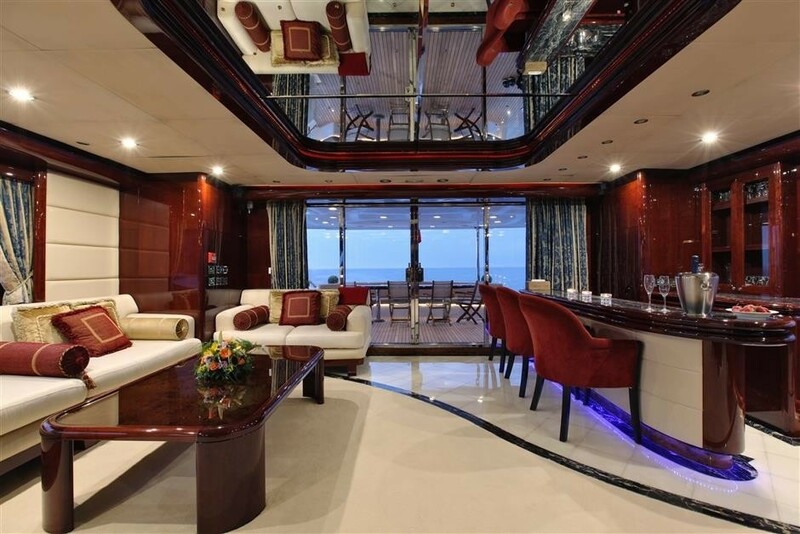 M/Y MELANYA is available for luxury charters in the Mediterranean and offers comfortable accommodation for 10 guests. 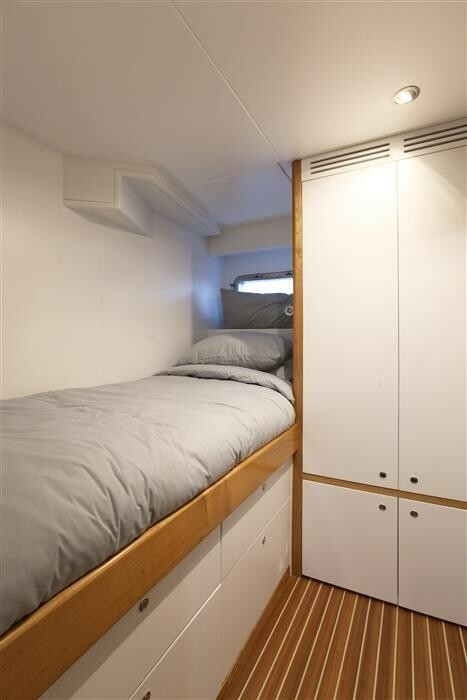 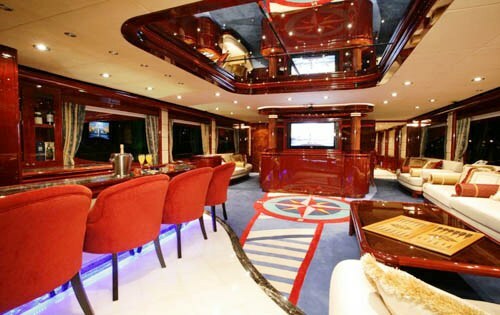 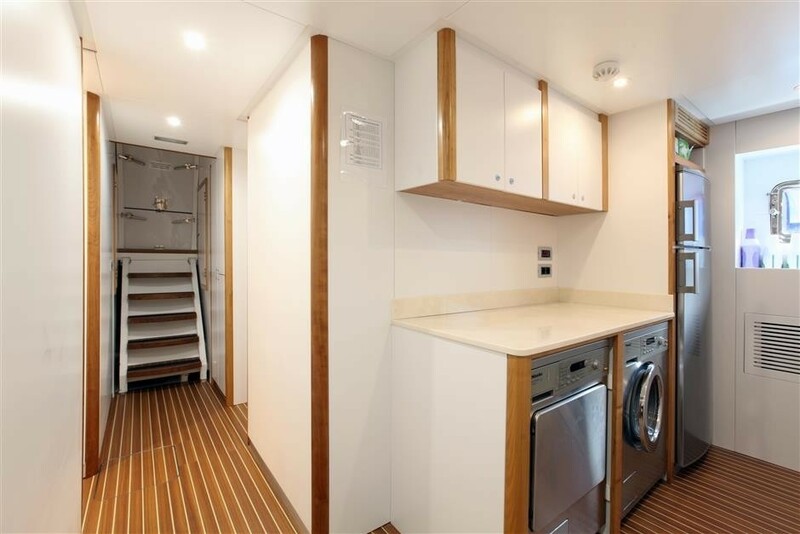 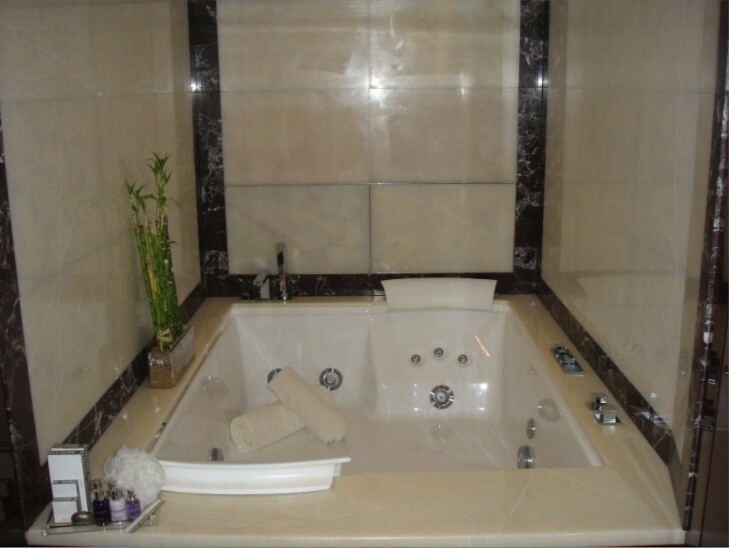 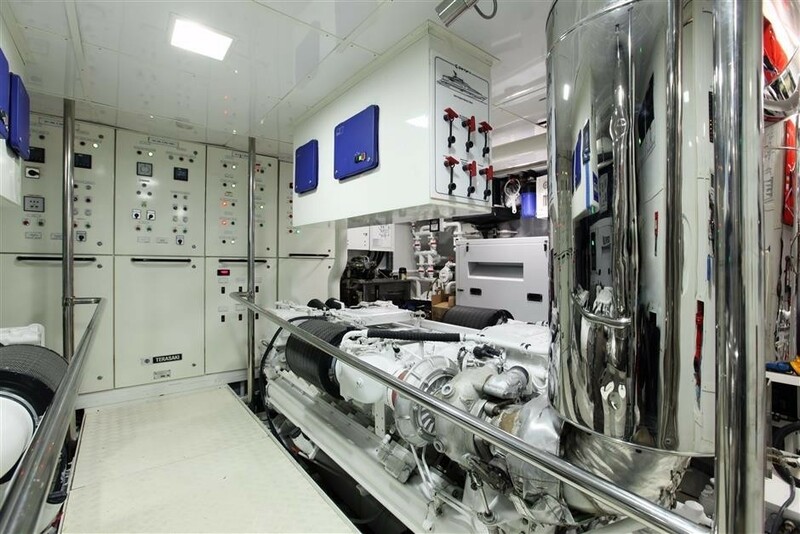 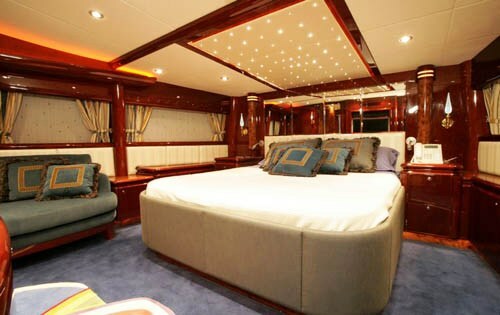 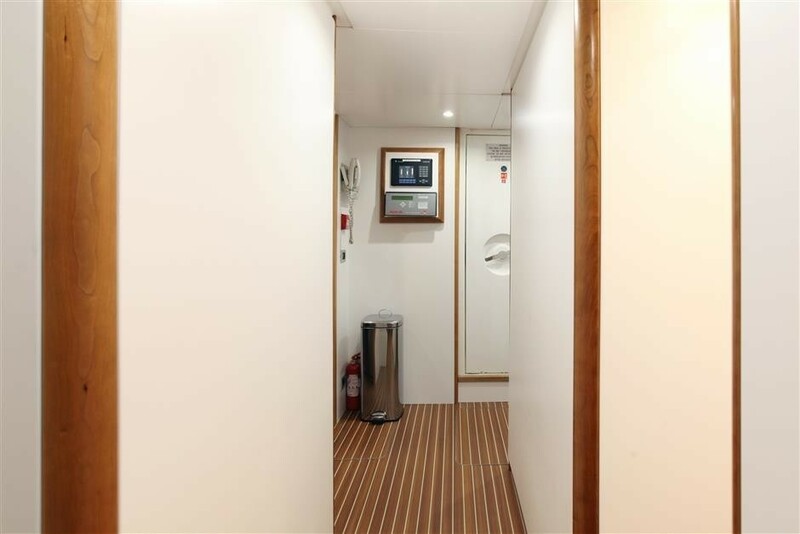 She has air conditioning in all cabins & the saloon as well as Plasma TV, Sat TV, DVD & CD. 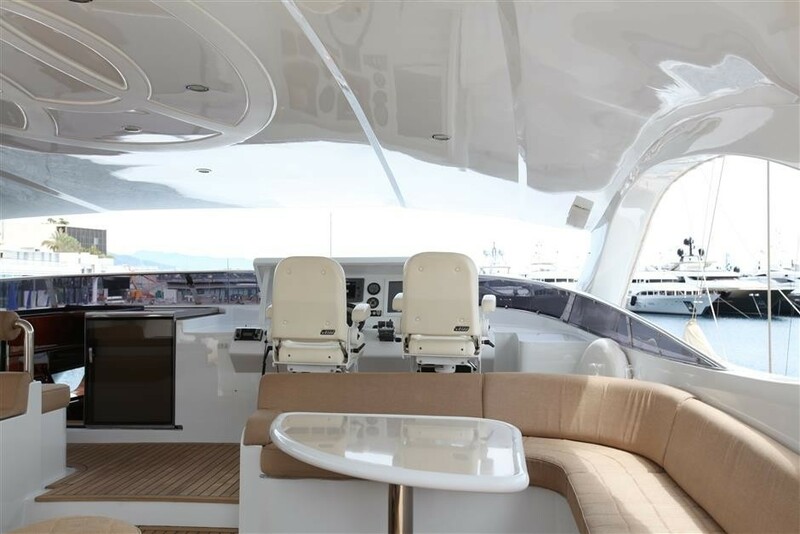 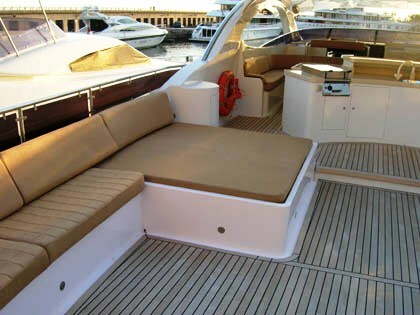 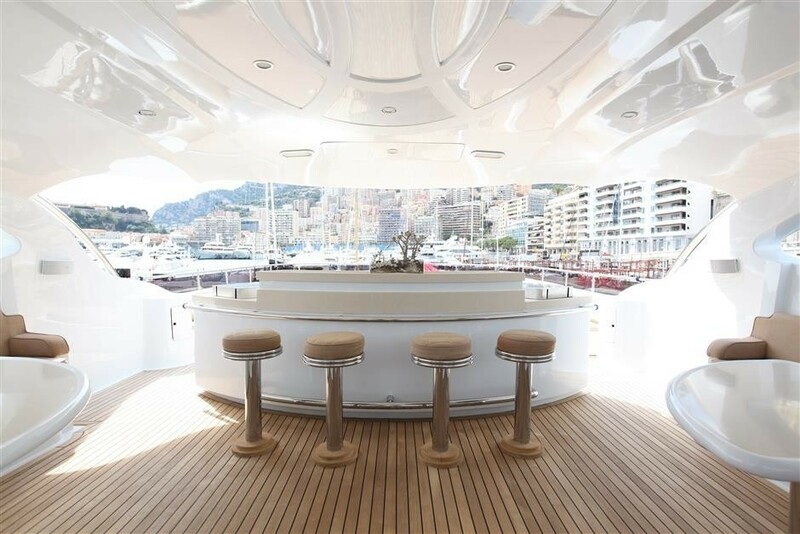 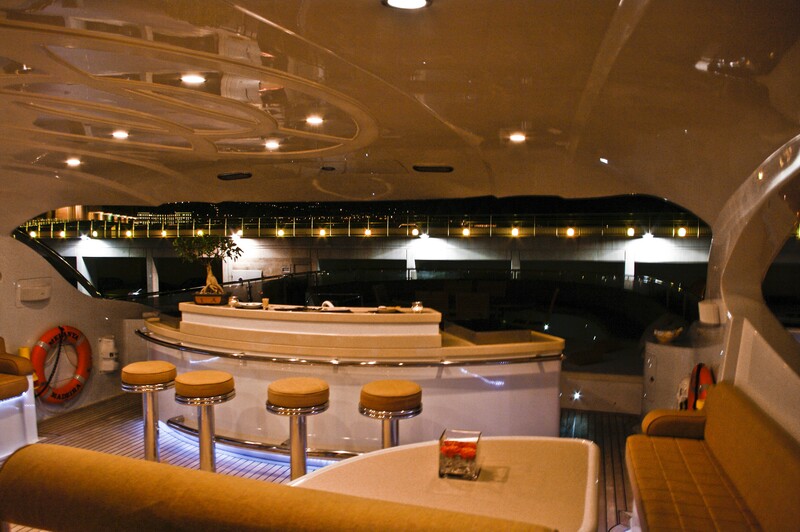 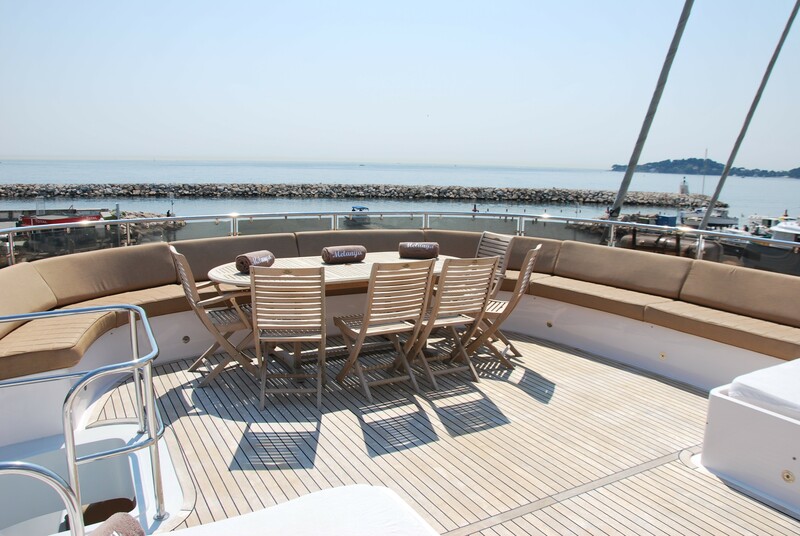 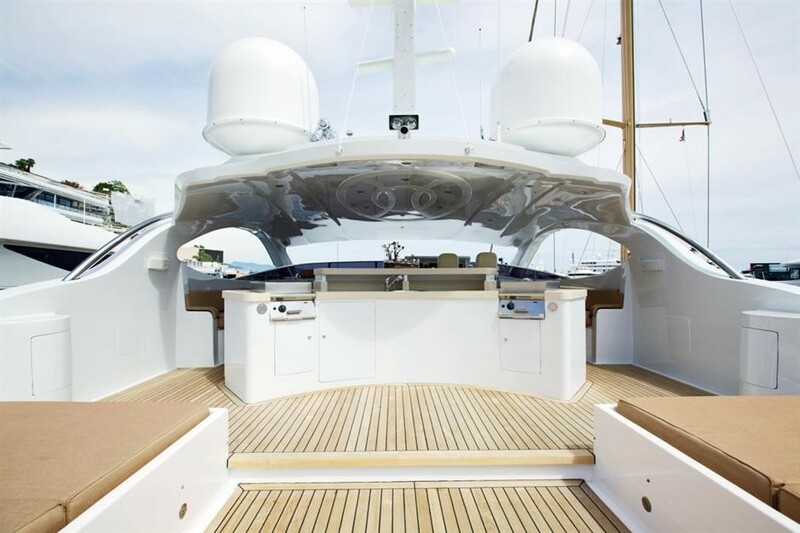 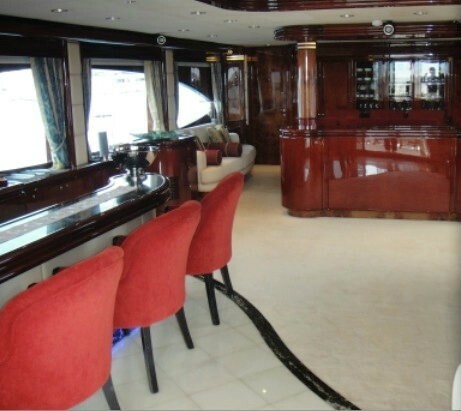 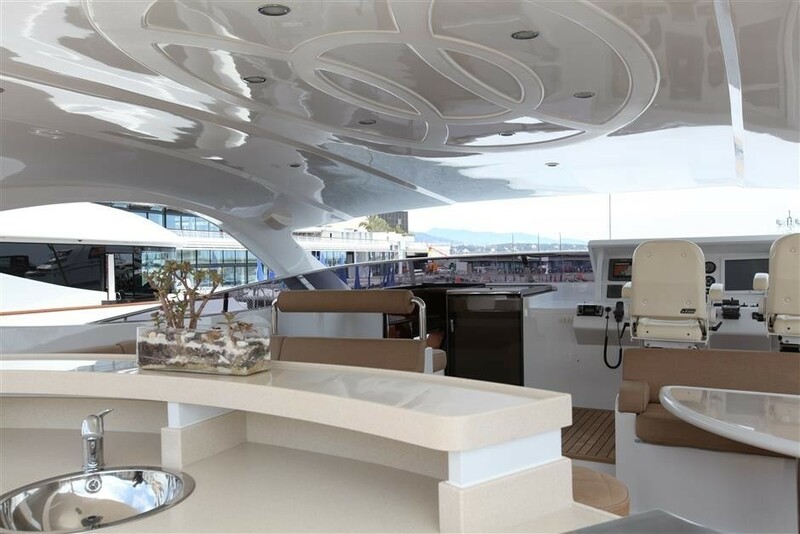 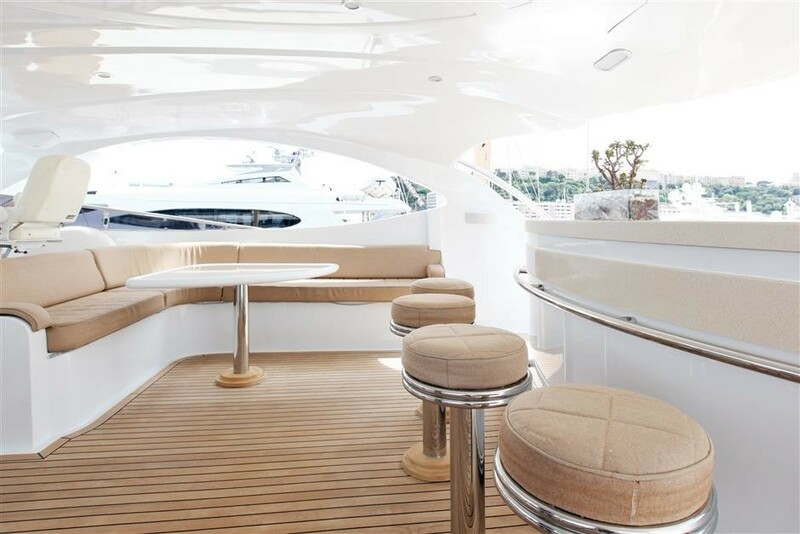 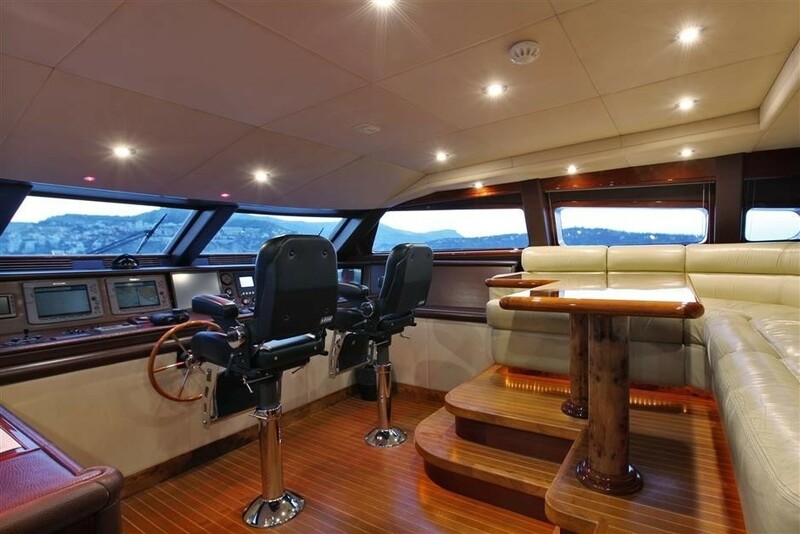 The yacht offers a shaded aft deck dining for 10 and on the bridge deck there is shaded outdoor dining for 10. 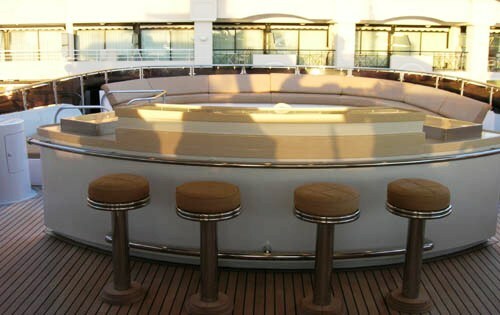 The Sun Deck includes ice-maker, bar and BBQ. 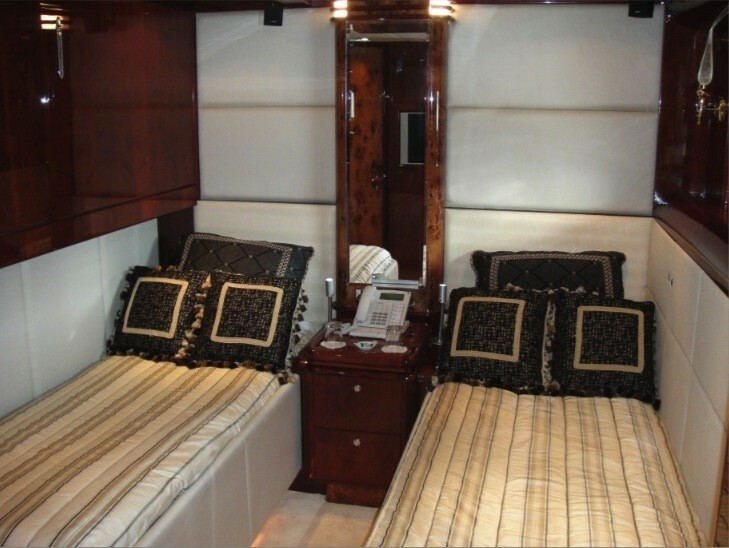 Tenders & Toys Tenders + Ski snorkeling equipment wakeboard, waterskis, donuts Jet Ski. 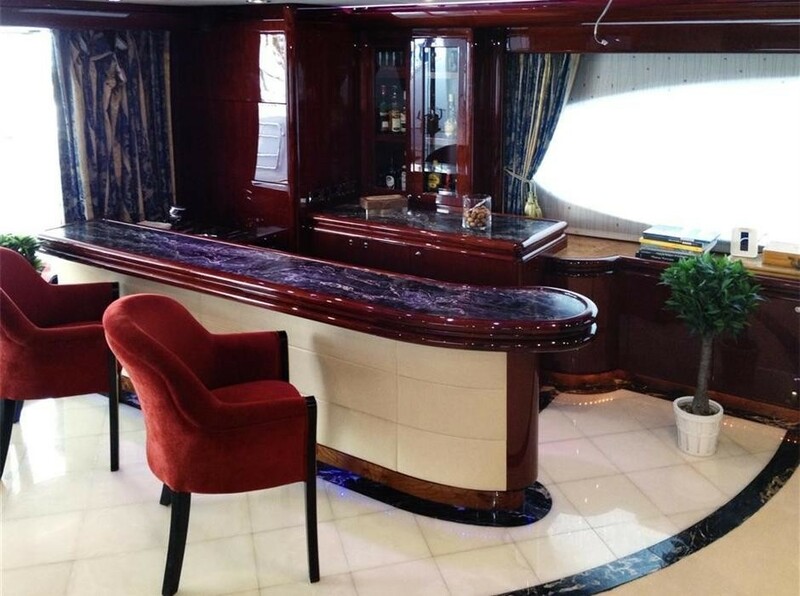 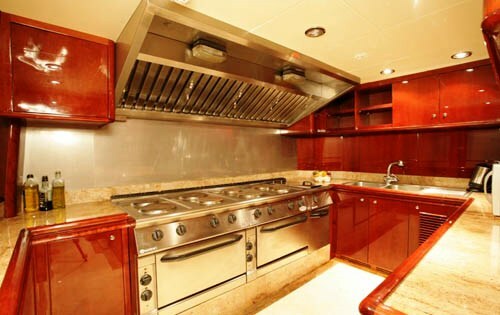 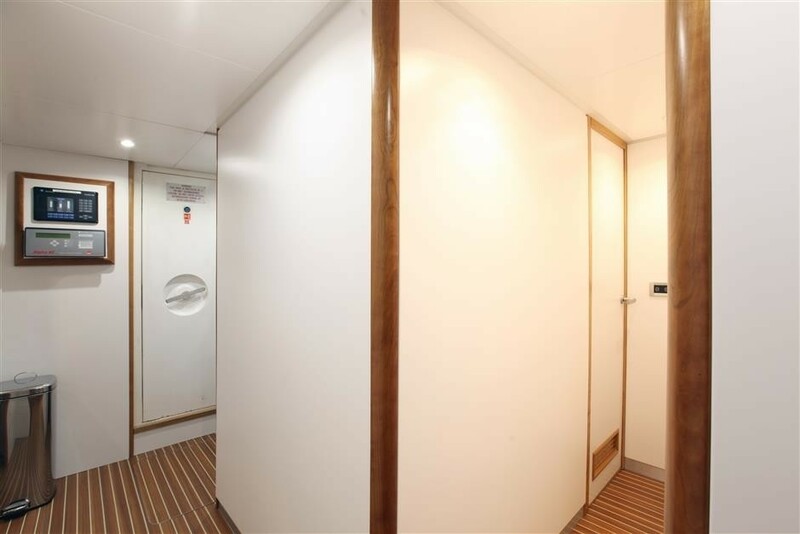 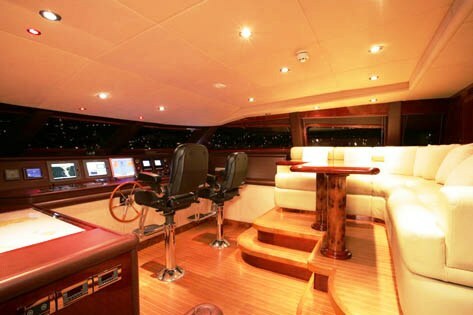 Audio Visual Equipment and Deck Facilities Plasma TV, Sat TV, DVD, VCR, CD in all cabins. 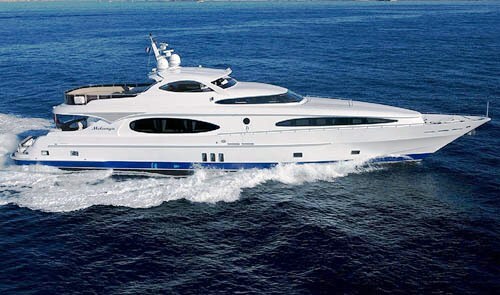 Communications Telephone & Fax : satellite & cellular systems. 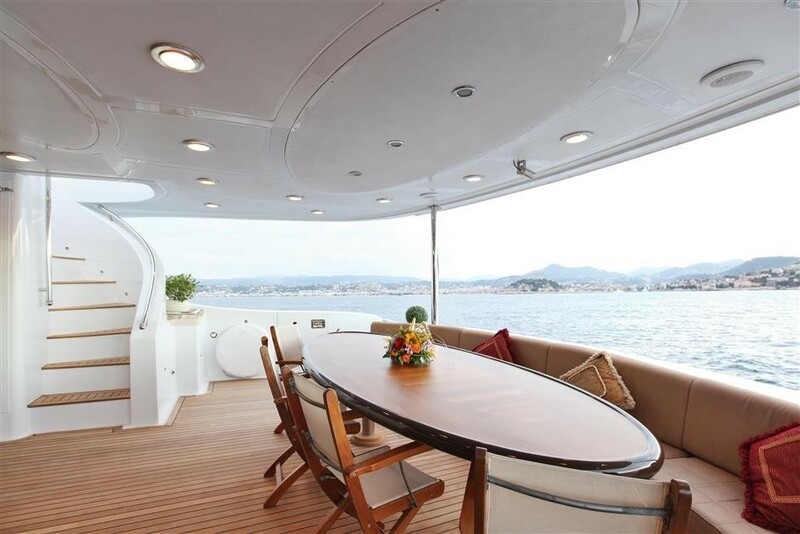 Email connectivity : from the bridge via yacht's computer.